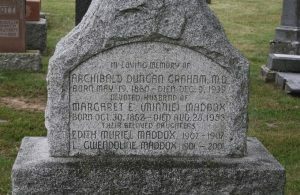 Dr. Archibald Duncan Graham was born on the 19th of May, 1860 in Middlesex County, Ontario. He was the son of Duncan P. Graham and the former Christina Lamont. He was from a family of 10 children and he was the youngest son. His siblings included; Donald, Jane, Peter, Catherine, Duncan, Annie, Christine, Mary and Isabelle. He graduated M.D.,C.M. from Trinity Medical College in conjunction with The University of Toronto Faculty of Medicine in 1887. According to the 1928 Ontario Medical Register, Dr. Graham joined the College of Physicians and Surgeons on the 11th of May, 1887. Dr. Graham initially started practicing in Lobo, a community 10 miles west of London. He is listed in the 1888, 1889 and 1890 London and Middlesex County Business Directory as being a physician in Lobo. He was listed in the Kent County Business Directors from 1891 to 1900, advertising his medical practice in Bothwell, Ontario. He is listed on the 1891 census as a bachelor living as a border in the Town of Bothwell. Dr. Graham initially lived at the Central Hotel and worked from an office on Oak Street. After his marriage, Dr. and Mrs. Graham lived in a home, formerly owned by Dr. James Delmage Wilson at the corner of Main St. and Chestnut St. in Bothwell. This home is officially located at 421 Main Street and is included on the Chatham-Kent Municipal Heritage Register. He was married to Margaret “Minnie” Elizabeth Maddox on the 20th of July, 1897. She was born on the 30th of October, 1862 in Carmarthenshire, Wales. She was the daughter of Charles Bowen Maddox and Elizabeth Maddox. She was one of 9 children. Her siblings included; Louisa, Elizabeth, Mary Anne, Isabel, John, Edward, Charles and Edith. At a young age, she moved to London, England with her parents and siblings. Dr. and Mrs. Graham were married in Lewisham, England. This co-insides with the 1911 census, that lists Mrs. Graham as being born in England and immigrating to Canada the same year as they were married. The census records their address as 595 Main Street in Bothwell. Dr. and Mrs. Graham had two daughters, born to them in Bothwell. Lillian Gwendolyn Maddox Graham was born on the 13th of August, 1901 (died in 2001) and Edith Muriel Graham was born on the 18th of June, 1907. Baby Edith died on the 22nd of August, 1907. 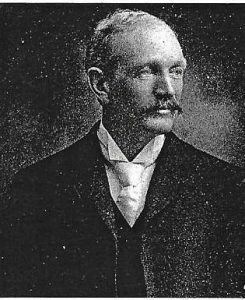 Dr. Graham served as Reeve for Bothwell from 1897 – 1898 and he was elected Mayor in 1900. He was selected as the first Medical Officer of Health for the Bothwell area. Dr. Graham made all of his own medications in the form of ointments and powders. Dr. Graham died on the 9th of December, 1939. Mrs. Graham died on the 28th of August, 1953. They are buried at the West Bothwell Cemetery, next to their daughter Edith. 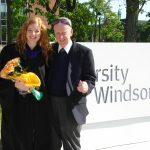 *His brother Dr. Peter Lamont Graham and Dr. James Delmage Wilson are also featured on the Chatham-Kent Physician Tribute website.